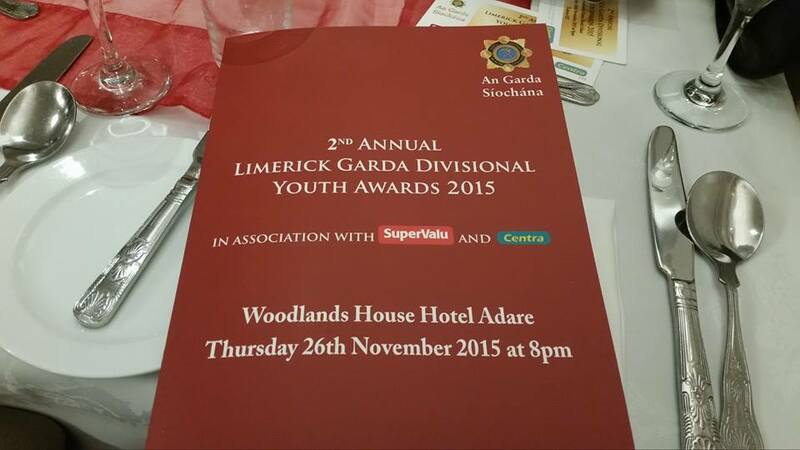 Limerick Tidy Towns had the pleasure to nominate students of St Augustines School for the Limerick Garda Divisional Youth Award 2015. 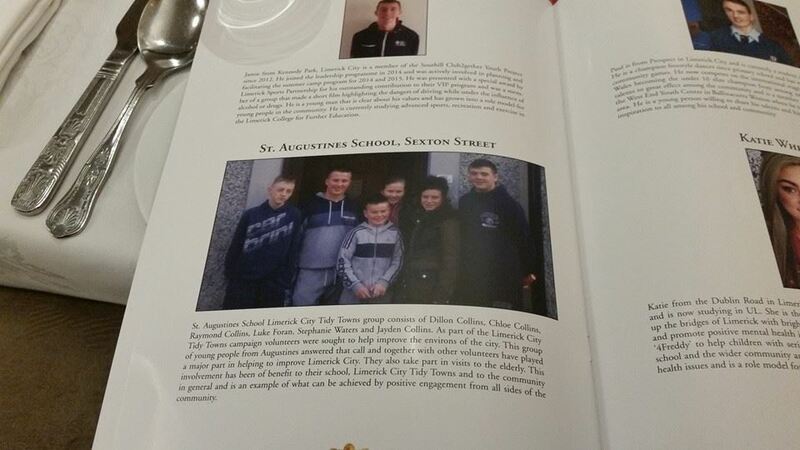 St. Augustines School Limerick City Tidy Towns group consists of Dillon Collins, Chloe Collins, Raymond Collins, Luke Foran, Stephanie Waters and Jayden. As part of the Limerick City Tidy Towns campaign volunteers were sought to help improve the environs of the city. 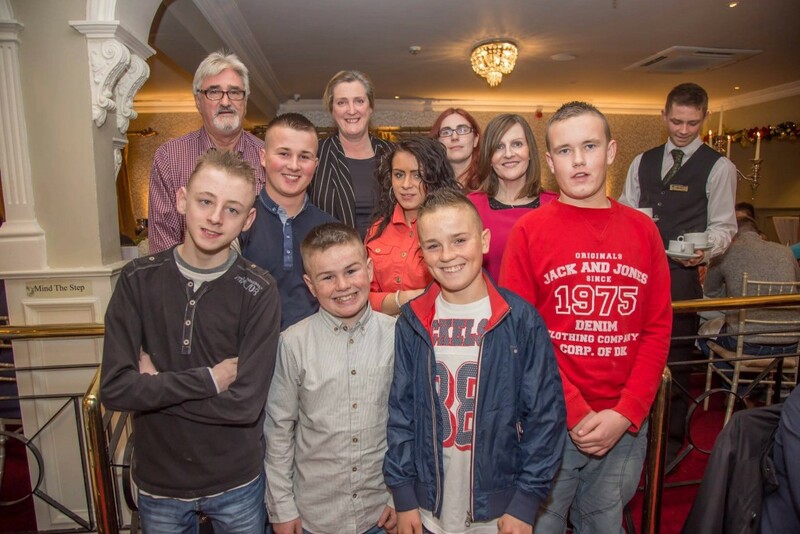 This group of young people from Augustines answered that call and together with other volunteers have played a major part in helping to improve Limerick City. They also take part in visits to the elderly. 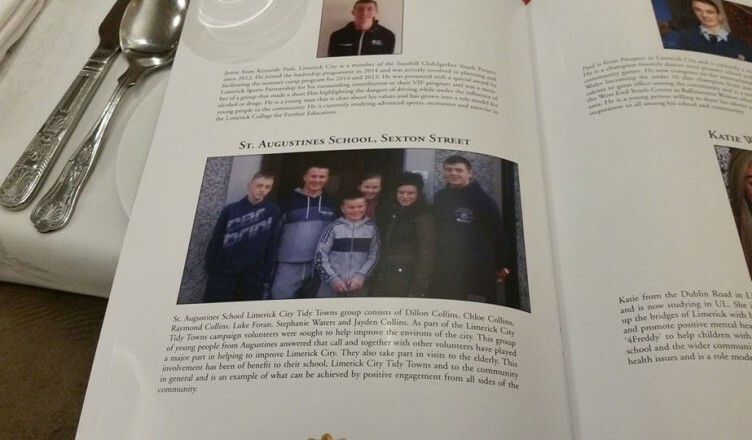 This involvement has been of benefit to their school, Limerick City Tidy Towns and to the community in general as an example of what can be achieved by positive engagement from all sides of the community.